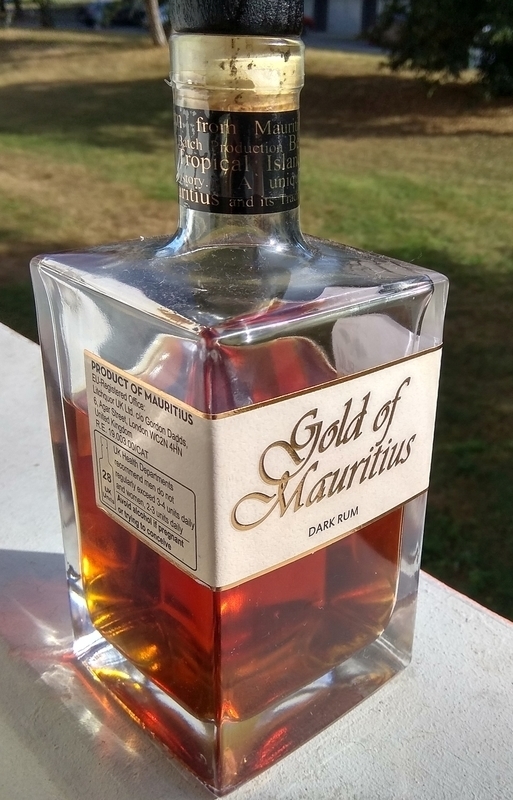 Have you found an online vendor selling Gold of Mauritius Dark? Gold of Mauritius Dark Rum is produced from molasses which is aged for 3 months in port wine barrels before being filtered, followed by another 8-12 months. The Gold of Mauritius Dark Rum molasses is supplied by Grays Distillery, a wine, sprits and liqueur producer founded in 1935 in Mauritius that makes 6 million litres of alcohol each year. Quite dispappointing, I don't like it. It has an unpleasant, pugent smell (maybe that is what is called nutmeg by other reviewers) which is also present when drinking. You get much better rum for the price. Now this one got me. With the taste of roasted peanuts and some fruits this is special. Not quite what you expect but this is some extraordinary stuff for that young age and price. this one evens the first steps into the georgeous world of rum. almonds, cinemon and carribean dreams! affordable top shelf! Tesil jsem se, ale asi az moc. Za me nevyvazene. Orechy. Cokolada. Kuze. Vona za vanilkou, opalenym sudom, melasou velmi podobna s Blue Mauritius Gold. Rum je sladky a jemny, oproti mojmu oblubenemu "modremu kolegovi" z Mauricia je ale v chuti u tohto Gold rumu nieco co mi vadi. Nice aroma with caramel, spice and vanila tones. Warm and smooth taste, sweet but not too much. Average aftertaste with wooden tones. Darker colour, smell with baked nuts, oak wood, chocolate. Taste fine, smooth, wit tropical fruits touch, chocolate, cinnamon, special one an nice. Like it. Dobrý, těžký rum, s dřevěným koncem. Není tak moc sladký. Musí se mu dojí na chuť. Pro mě vhodný k večernímu popíjení. Gold of Mauritius dark je veľmi zaujímavý počin, ktorý zaujme chuťou a luxusným vzhľadom. Fľaša: hranatý dizajn evokujúci luxusné pitie a produkt. Dizajnu nie je čo vytknúť. v jednosuchosti je krása. Po dizajnovej stránke max. spokojnosť. Vôňa: príjemná vôña vanilky, klinčekov a hlavne sviežosti po citrusových plodoch. Taktiež je cítiť trocha kože a hrozienok. Chuť: na začiatku je cítiť miernu ostrsoť, ktorú hneď prebíja svieža chuť citrusov, trocha mango, pomaranč možno limetka. chuť primerané sladka, trocha suchšia. zaujímavé. Záver je primerané dlhý, nevtieravý. Záver: určite odporúčam pre ľudí, ktprým prekážaujú sladké rumy....musím povedať, že som týmto rumom prekvapený, určite odporúčam. Actually, this stuff is suprisingly drinkable, it has a bit of pungent smell, but nowhere near the Dzama or Rum Nation Barbados, a bit of sedimentation too, otherwise I tasted "chocolate" which is my thing. ungwöhnlich gute Konzentration von Süsse und Frucht. Mám pocit, že čím je láhev prázdnější, tím je tehle rum lepší. I když nese název Dark, tak barva není úplně dark jako třeba Zacapa, spíše medově zlatá. Voní asi jako vlašské ořechy a med. Někdy zkuste nechat prázdnou skleničku zaschnout do rána a přivoňte si. Podobně i chutná. Sladký (ale ne přespříliš), velmi jemný a dobrý. Nutí vás to znova usrkávat a hledat a vychutnávat. Lahodný. Top, raffiné, bonne longueur sans amertume . Sucré, vanillé. Doux. First smell was dominated by alcoholic notes that soon gave way to notes of caramel, peanut and some distant wood. These notes did also dominate the palate with some added (minor) spiciness. The medium size finish was quite sweet and – interestingly - did reveal some smoke at the end. Despite the flavour notes I experienced this rum as quite soft and not as a full bodied or very complex rum which translates into my rating. So if you are looking for something not too complex this might be interesting for you. Mauritius, my favorite island for rums. You will never get burned when choosing rum from this island. GoM has very unique flavour. Dark rum, smooth, cherry on tongue, great smell, maybe little bit too sweat, almost like liquer. Tuto láhev mám/měl jsem doma delší dobu s velkým očekáváním. Ovocná a jemná vůně po cherry a citrusovém ovoci. 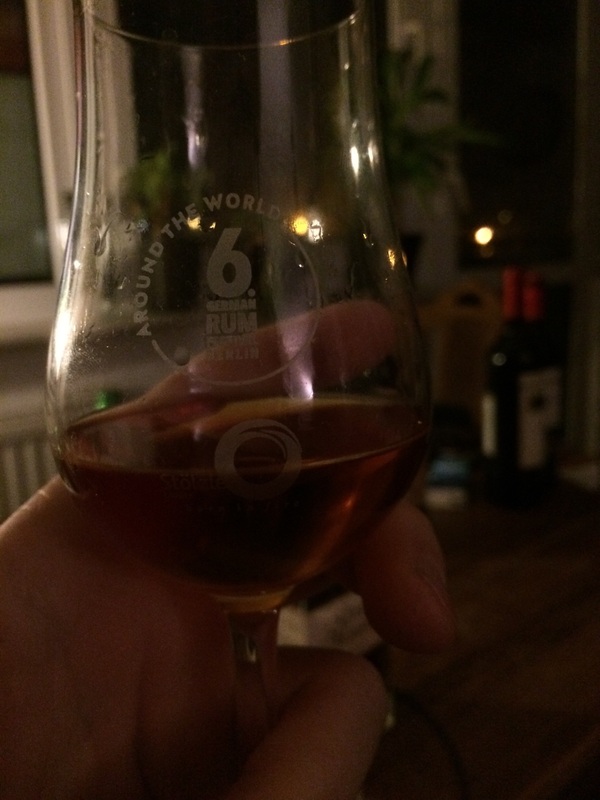 Got this Great rum in "Bar ktery neexistuje" in Brno. I really liked its original smoked aftertaste. I was waiting for it almost a year. I want to drink it...but always i bought something else...and finally I've got it. Was worth to wait for it :) Sweet, but not to sweet, rich of taste, great colour and nice aroma.